Hey Love: Denim For Fall!! Fall is just around the corner dolls! What better way to transition into the season than with one of my fave fashion staples: Denim! There are so many pieces out there besides the classic denim jacket. Try layering with a denim vest, add some tights and a blazer to a denim dress, or go all out with some denim overalls. The possibilities and pieces are endless. Not to mention, you can start small with a denim jacket or vest and then when you're feeling daring move up to a dress or overalls! Check out my finds below!! PLUS: All the pieces are under $75! I need some denim overalls in my life---RIGHT NOW! Obsessed with the Boyfriend Pair! What piece is your fave?! I love all of this denim!! great post! really liking your denim picks! I'm craving for a denim skater skirt! I'm loving all of these choices! As much as I love traditional denim jeans, it's way more fun to rock the denim in some of these other ways! Denim dresses with high boots will be so much fun for fall! Love these! Hi love denim, and this selection is really great! Nothing beats some good old denim! You have chosen some great pieces. Great blog. I love denim -- jeans, jackets,... Still on the fence about overalls - although, they look really fun and trendy. Great post :) Love all of your picks! Oh denim.. love the pieces you chose!! love denim for fall especially a vest! love this soo! shall we follow by facebook and bloglovin? I cannot wait to wear all of my denim items for fall! The one item I am missing is the long-sleeve denim jacket. 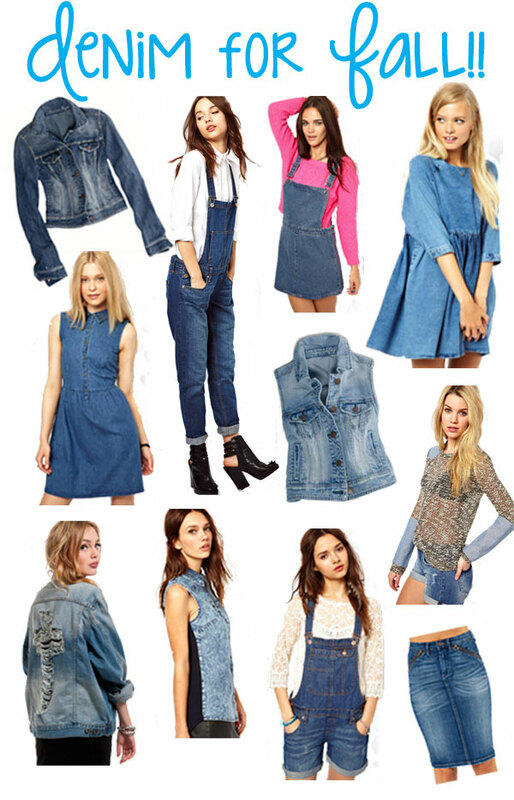 This is amazing denim selection! I never thought over alls would be stylish but Im loving the trend. Especially the ones you picked! Love the denim dungaree look!